I am working on updating this site. I appreciate your patience. I hope for it to be up and running by the new year! 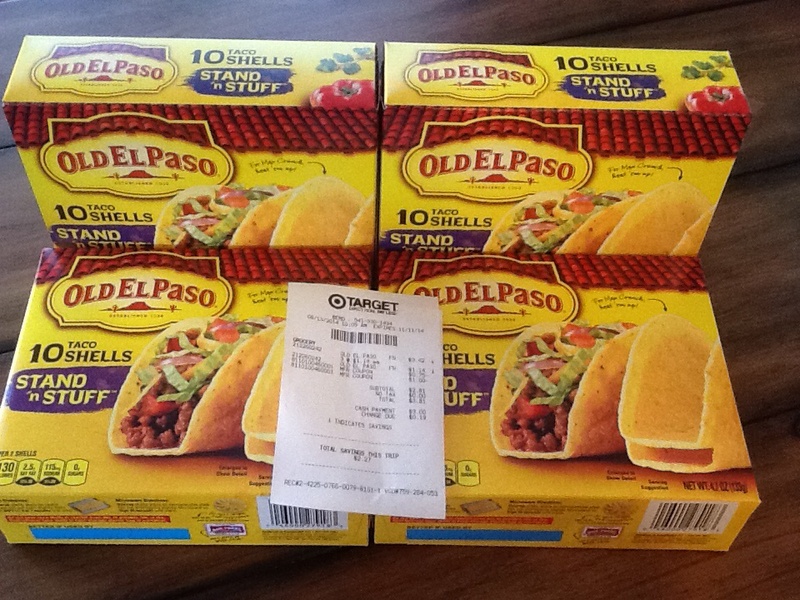 Through 8/30 Old El Paso Stand & Stuff Taco Shells are on sale for $1.14. 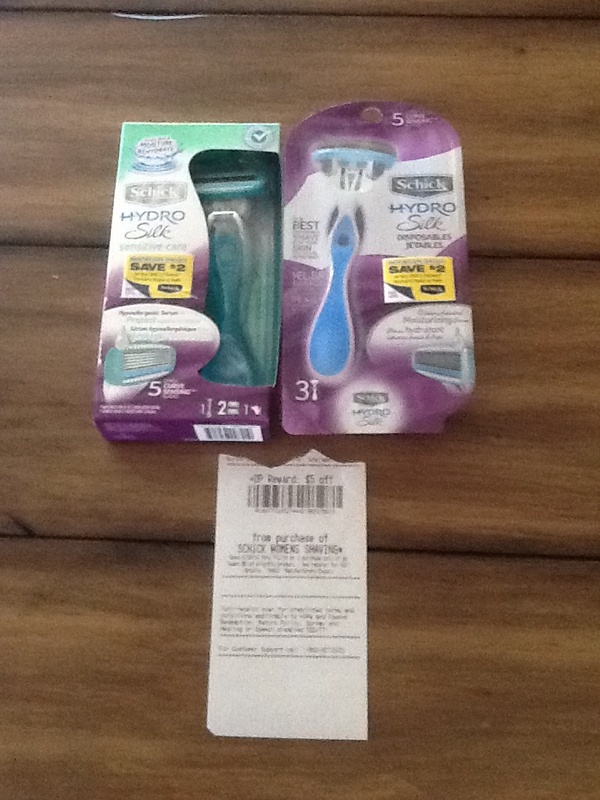 I was able to score 4 boxes for $2.81. You might be able to score an even better deal if your computer lets you print two sets of coupons! That brings the total to $2.81 or just $.70 per box! 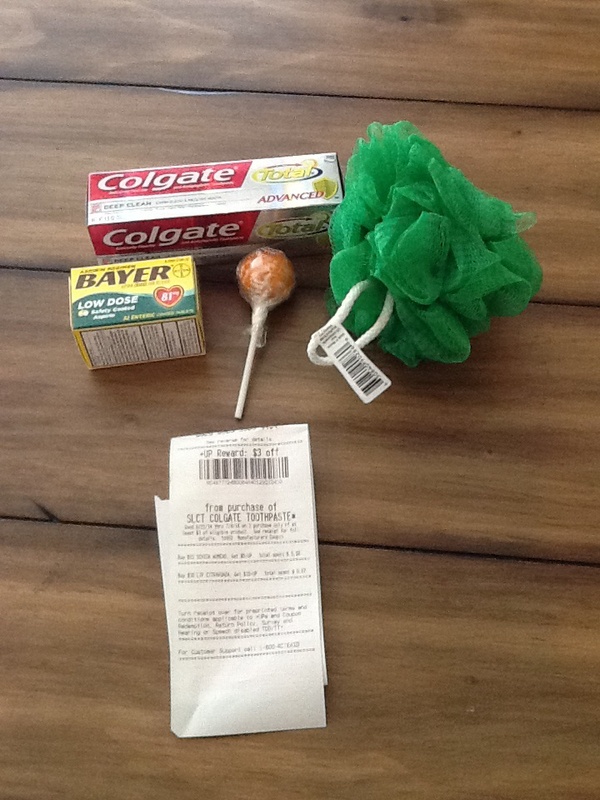 So, What Did I Get With My Rite Aid UP Reward? Final Cost $2 – $1.00 each! Final Cost as low as FREE + $0.56 moneymaker! Buy 1 Cream Swirl Sucker $.59 (Gold Member Price: $.47) to make it to $5 so I could use my Up Reward. Don’t you love just being able keep those UP Rewards rolling without spending more cash?! 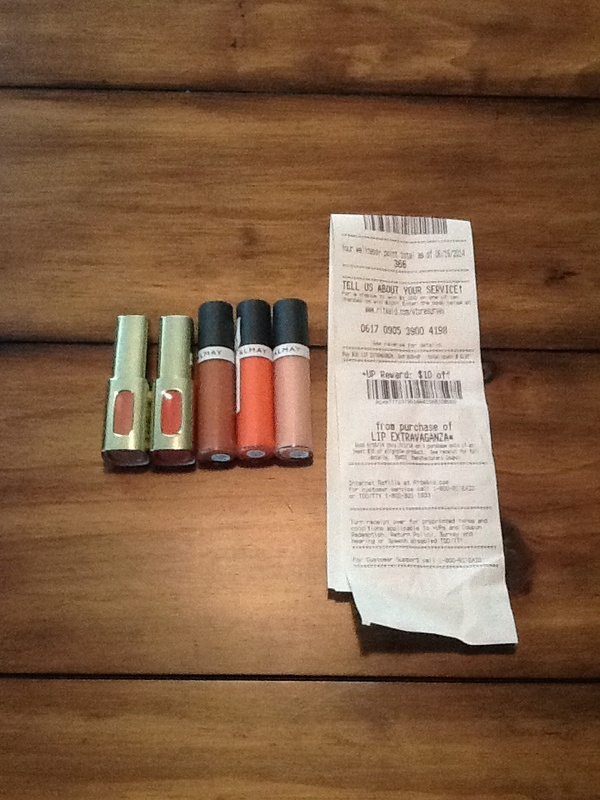 Total Price: $8.08 or $1.61 per lipstick!